097 Mollie Busby: A yurt, some love, and the Montana mountains. Life ain’t so bad for the Busby’s. Mollie Busby and I sat down at OR and talked candidly at OR. It isn’t a typical Athlete On Fire show but it is a pretty cool take on a couple doing some amazing things. If anything, check out their amazing website, Two Sticks And A Board. 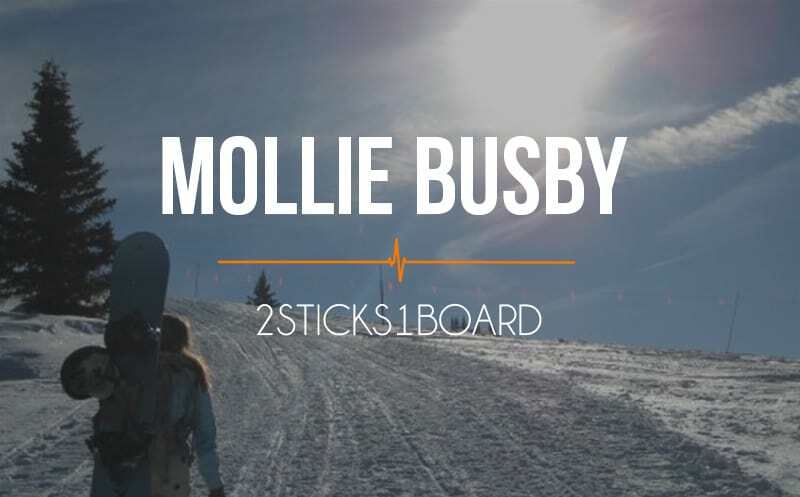 Mollie and Sean Busby are no strangers to adventure. A professional snowboarder and recreational skiier left Utah for the grandeur of Montana, and moved into a yurt. The adventure isn’t stuck in Montana though. They travel the world backcountry skiing and boarding, have a charity to run, and put on camps for kids all over the world. An energetic and candid talk today should leave you anxious to get out the door. Thanks for listening to the Athlete On Fire show live from OR in Salt Lake City. Newer Post OR Day One: January 21st, 2015: Mike Baker, CEO of SOLE	Older Post OR Day One: January 21st, 2015.